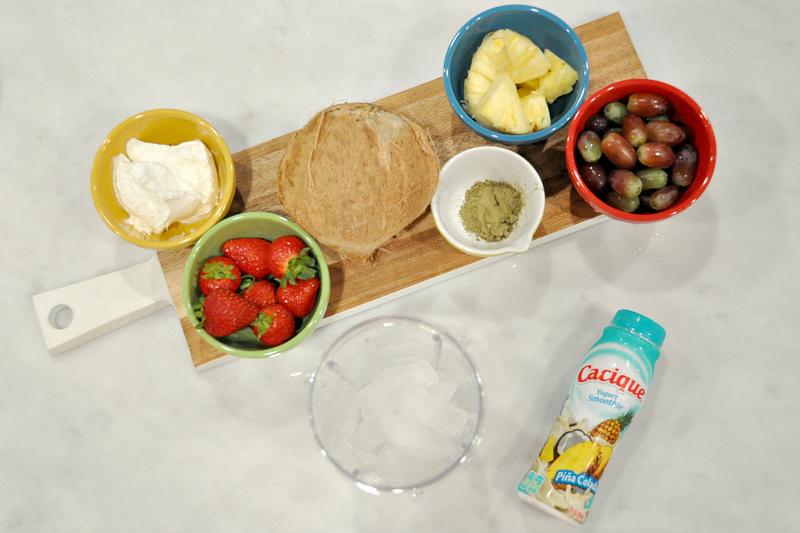 Matcha Hawaiian Smoothie Recipe is sponsored by Cacique and Society Culinaria. All opinions expressed are my own. I have always loved a smooth green tea to energize me throughout the day. I learned early on that caffeine didn’t necessarily agree with me in heavy doses and versions of green tea drinks gave me that boost I need to keep going. 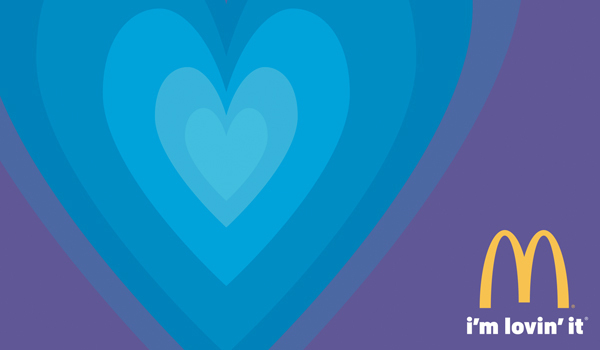 When I found out I was pregnant, I wanted to make sure that I followed all of the guidelines to give this baby the best possible opportunity at a healthy start. Smoothies help me maintain a healthy diet and allow me to add one of my favorite pick me ups, matcha. In my quest to explore delicious summer flavors I concocted this delicious Matcha Hawaiian Smoothie recipe using a secret ingredient! 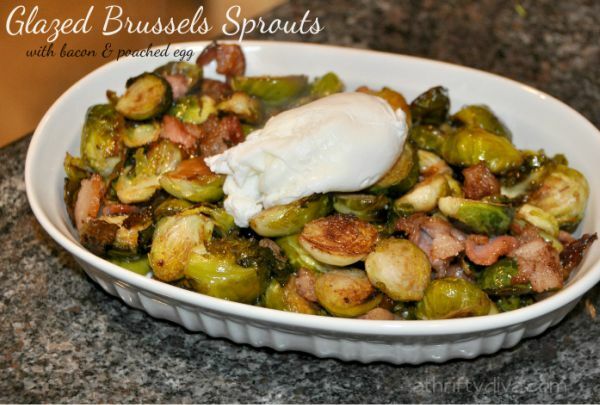 Okay it’s not that much of a secret, but more of a rich in protein delicious source of calcium. Cacique Yogurt Smoothies have changed my life. You could absolutely enjoy Cacique Yogurt Smoothies as they come, kicking them up a notch like turning Cacique Piña Colada smoothie into at Matcha Hawaiian Smoothie is a life changer. 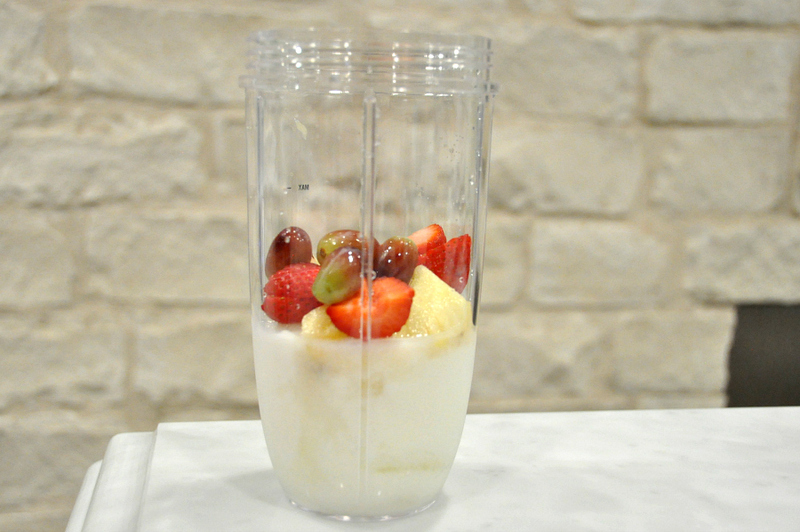 Start with 1 cup of ice in a blender. 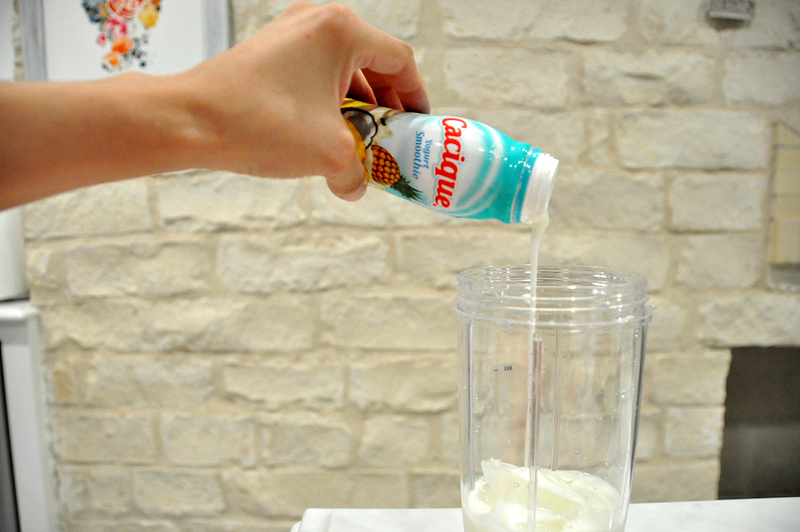 Add (1) 7 ounce Cacique Piña Colada Yogurt Smoothie to the blender. 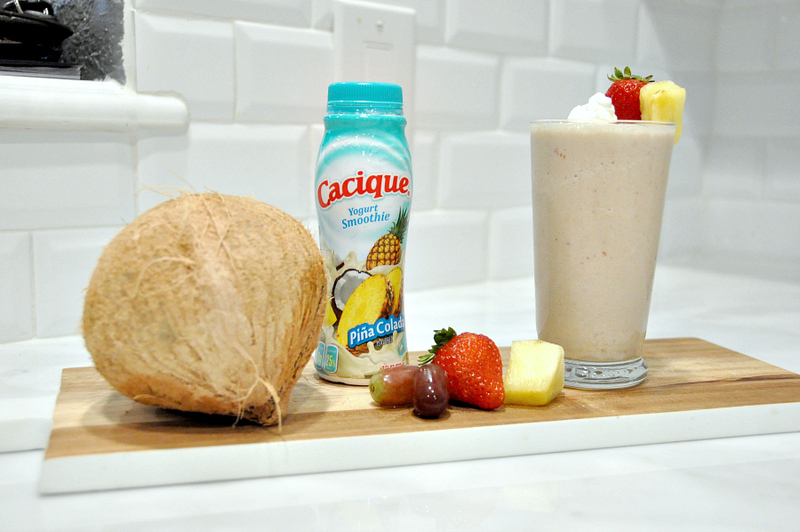 Cacique yogurt smoothies are made with Real fruit flavor blended with creamy yogurt and they are rich in 8 grams of Protein. The low in calorie and cholesterol smoothies are also a good source of calcium and probiotics this pregnant lady needs. Add in a handful of fruit. I used fresh pineapple, strawberries and grapes. 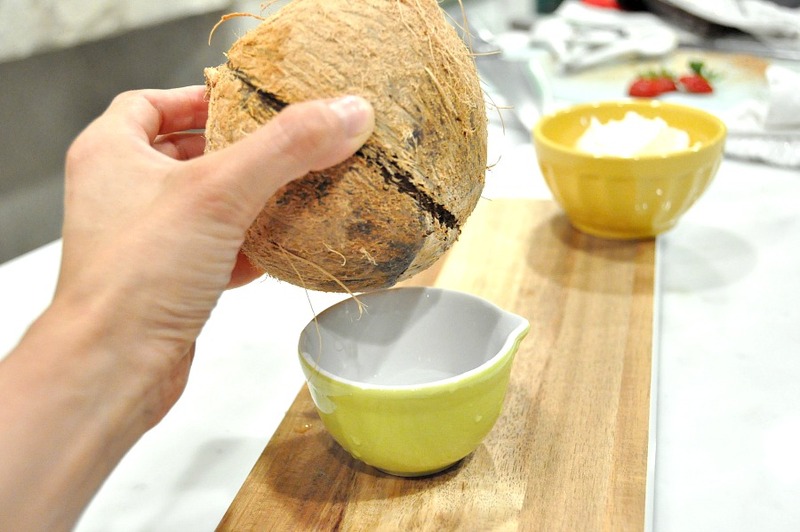 Add in 1/2 Cup of fresh coconut water to add a boost of electrolytes. For extra creaminess add a tablespoon of lite whipped topping. Add a tablespoon of premium organic matcha powder to add 137 times more antioxidants into your smoothie. 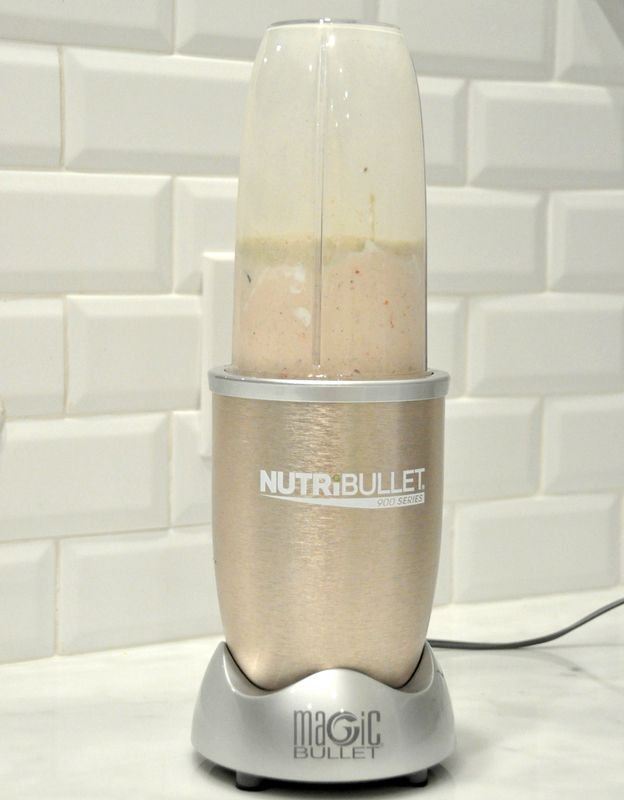 Blend it all together until its a nice thick smoothie consistency. Your Cacique Yogurt Smoothie infused with Matcha and fresh fruit is ready to devour. Cacique yogurts are gluten free with the exception of the three with cereal: Strawberry Banana w/cereal, Prune w/cereal, and Pecan w/cereal.